Katherine Marr (Duncan) is Director of The Mason Group’s Accounting and Finance Permanent Division in downtown Toronto, and she has the perfect mindset for it. 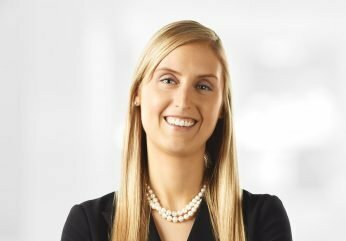 Katherine began her career as an Associate with PricewaterhouseCoopers (PwC) in their Toronto and San Francisco offices. Being a people person, she participated heavily in the on-campus recruiting program while working there. This keen interest and genuine excitement for the recruitment process and career guidance, convinced her to transition full time into the recruitment industry in 2006. One of Katherine’s biggest strengths is how well she supports candidates through the search process. From resume feedback during the first meeting to how thoroughly she helps them prepare for their client interviews (e.g. how to present themselves, to what to ask and what not to ask), Katherine is fully vested in using her expertise to guide her candidates throughout the process. She also consistently goes the extra mile for her clients. Katherine has the strategic, analytic and business acumen to quickly grasp her clients’ needs and to deliver the right fit for their long-term solutions. Katherine graduated from Queen’s Commerce with minors in Finance and Accounting in 2003 and she received her CA designation in 2006. She is an active supporter of Dress For Success, Camp Oochigeas, and a volunteer Director for the Muskoka Lakes Association. She is passionate about her family, friends, wellness, fitness, golf, Muskoka and travel. She has lived and worked in London, England; San Francisco, and Los Angeles in addition to Toronto. Katherine has been to every continent and over 30 countries; she’s climbed Mount Kilimanjaro, made it to Everest Base Camp and slept overnight on Antarctica!